Comfortable in front of a wind band or an orchestra, Christy Muncey has enjoyed a career conducting a variety of ensembles. She currently is Director of Bands at The Johns Hopkins University where she conducts the wind ensemble and directs the pep band. Before beginning at JHU Ms. Muncey was the director of the Colorado State University Concert Orchestra, assistant conductor for the Colorado State University Symphony and Opera CSU, assistant conductor of the Thornton Community Band, and Apprentice Conductor with the Fort Collins Symphony. In March of 2014, Ms. Muncey traveled to Helsinki Finland to compete in the Nordic Wind Band Conducting competition where she was awarded 3rd place. Equally experienced with a variety of age groups, Ms. Muncey spent five years at Wheat Ridge High School as the Instrumental Music director where she conducted concert band, string orchestra, musical orchestra, chamber orchestra, and directed the jazz band and marching band. In addition to her educational appointments Ms. Muncey is also an active clinician, working with students ranging in age from seven to eighteen in flute, band, and orchestra. Other guest conducting appearances include the Thornton Community Band and the Evolution Contemporary Music Series. Also an active flutist, Ms. Muncey has performed with several orchestras, wind ensembles, and flute choirs throughout her career. In August of 2012 she performed with the Colorado State University Flute Choir at the National Flute Convention. Ms. Muncey’s flute teachers include Michelle Stanley, Greg LaLiberté, and Kelly Via. Ms. Muncey has a Masters of Music in Conducting and Bachelors of Music in Music Education from Colorado State University. She currently attends The Peabody Institute of the Johns Hopkins University where she is working towards a Doctorate of Musical Arts in Wind Conducting with Harlan Parker. 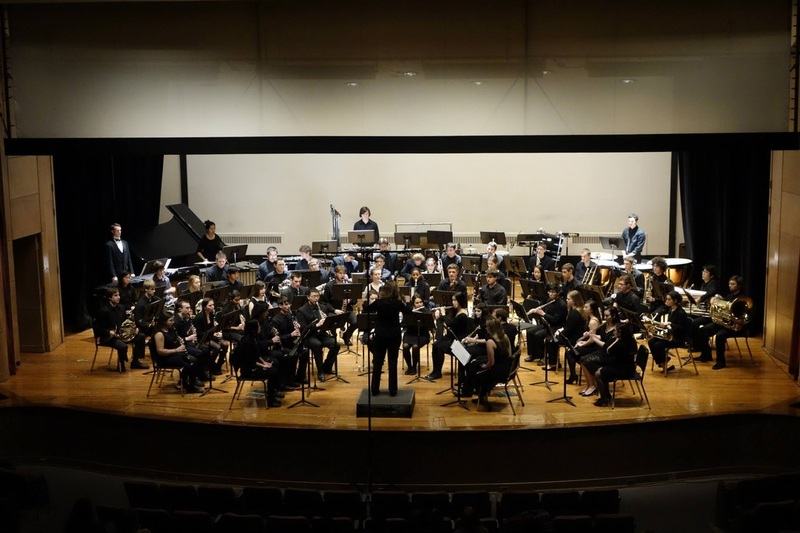 In addition to her studies at Peabody, Ms. Muncey also assists with the Peabody Wind Ensemble and with beginning through advanced conducting classes. Ms. Muncey has also studied conducting with Wes Kenney and Steven Moore.